Over the last few years one thing has been made certain here in the UK - everyone needs a Christmas jumper! Christmas is my favourite time of year and I love to celebrate it in everyway possible so of course this includes clothing! The cheesier and tackier the better I say and each year I love going on the hunt for a new bit of knitwear to get me in the festive mood! So I thought I'd share a few of my favourites from this year ... I want them all! Have you bought yourself a novelty sweater yet? Would you wear any of these? Aww this is such a cute post and gets me right in the mood for Christmas! I like the Topshop one but i wouldn't feel sparkly enough wearing it! I seriously love all of these-especially the reindeer one! I love Christmas jumpers so much! I love all the bottom row, but if I had to choose a favourite it'd be the red reindeer one. 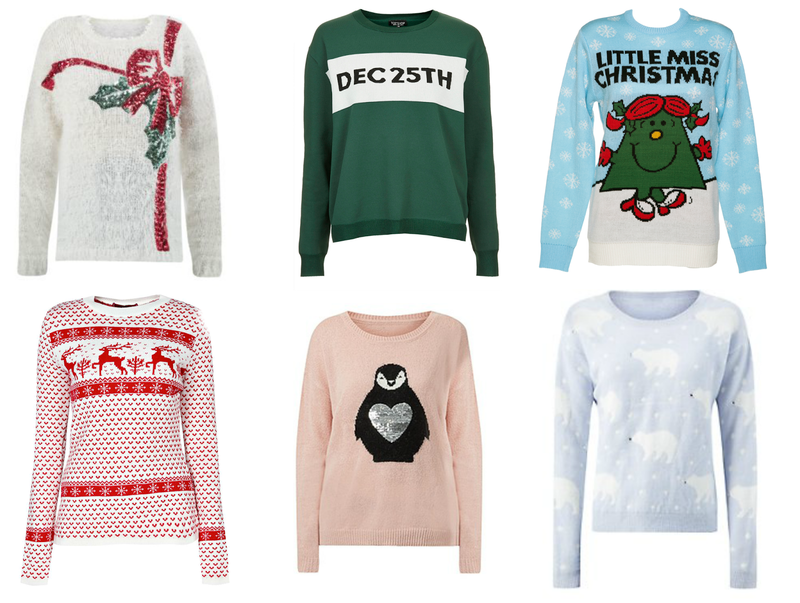 Jumpers just get me so in the festive mood and they also make you look really cute! I found an adorable one in Tesco with a baby penguin - very cute and very cheesy.